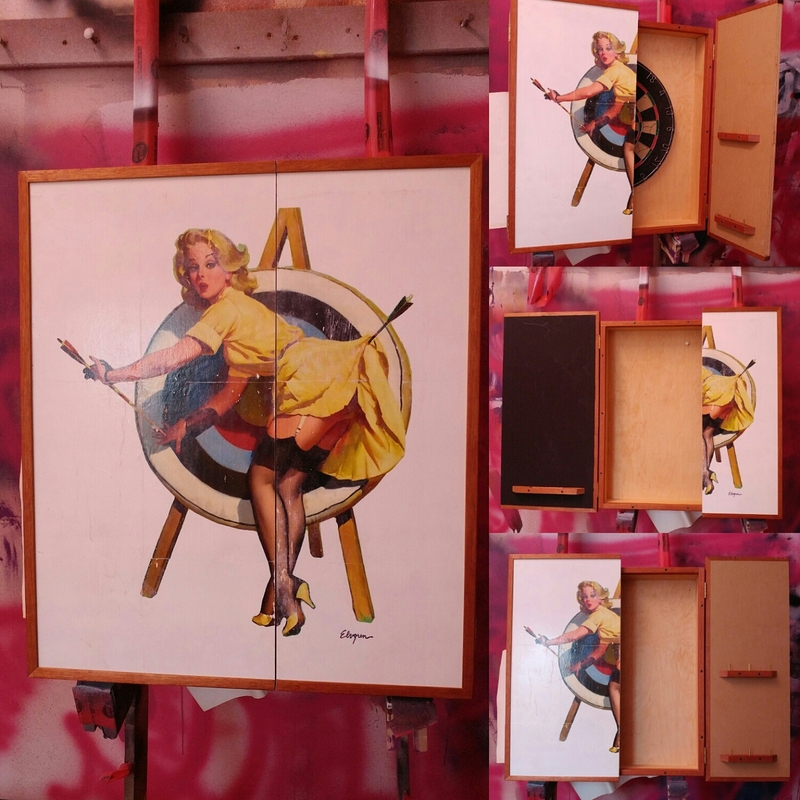 A fan is a collector of pin up art and his games room was missing a dart board. We found a great piece from his favorite artist and transferred it onto the doors. We maintained the vintage look for this one of a kind cabinet while adding some classy touches like brass dart holders, mahogany trim and a chalkboard. What would you feature on your doors?